The classic strawberry-flavored powder and syrup has more uses than just for making quick and easy strawberry-flavored milk. Strawberry Nesquik works well for adding strawberry flavor and a bit of sweetness to a variety of desserts and even breakfast foods. The liquid version requires adjusting other liquid ingredient amounts to avoid diluting recipes too much. Strawberry Nesquik's main use is for making strawberry milk, so you can logically leap to using it to make other dairy-based frozen desserts. 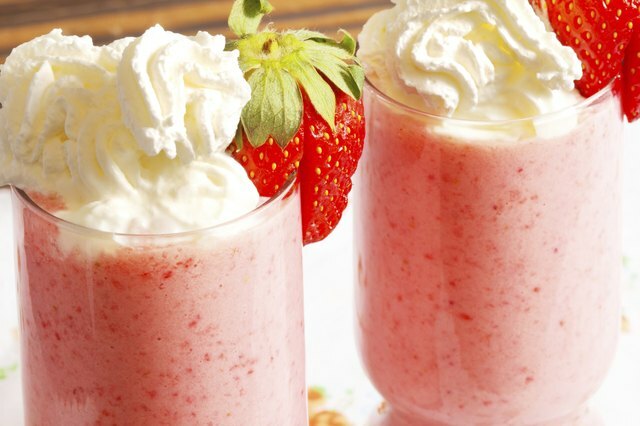 A little milk, vanilla ice cream and strawberry Nesquik blend together to make an easy strawberry milkshake. The exact ratio of milk to ice cream depends on the desired milkshake thickness, while using more or less strawberry Nesquik affects the intensity of color and strawberry flavor. 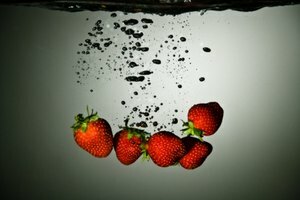 The best strawberry flavor for sundaes comes from fresh strawberries cooked with water and sugar, but a drizzle of Nesquik strawberry syrup works well as a substitute for traditional strawberry sauce. 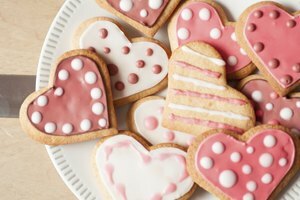 Light-colored baked goods, including cakes, cookies and brownies, take on a strawberry flavor and charming pink color with the addition of strawberry Nesquik. Powdered Nesquik works best to achieve the same consistency as the standard sweets recipe, but you can reduce the amount of liquid ingredients if you want to use strawberry syrup without making the batter or dough too thin. Brownies with the brown color and chocolate flavor are technically called blondies. Substitute white chocolate chips for milk or dark chocolate in your favorite brownie recipe. Turn the light blondie batter pink with strawberry Nesquik. 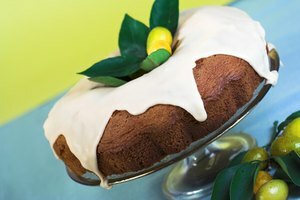 Start with a few tablespoons of Nesquik and increase in 1-tablespoon increments to achieve the desired color and flavor. Buttercream frosting tinted with strawberry Nesquik complements strawberry cakes and cupcakes. 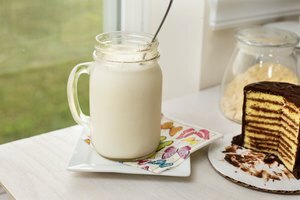 A basic buttercream frosting recipe requires 1 cup of shortening or butter for every 4 cups of powdered sugar, plus roughly 2 tablespoons of milk and 1 teaspoon of vanilla extract. Stir the strawberry Nesquik into the milk before mixing the strawberry milk into the powdered sugar. Use the Nesquik as a substitute for the vanilla extract and part of the milk so the ratio of liquid ingredients remains the same. The resulting color is a soft pink after mixing the bright pink milk with such a high volume of stark white sugar. Add more liquid Nesquik to deepen the pink color and add more strawberry flavor, but more powdered sugar might be necessary to compensate for the extra liquid. Powdered Nesquik also adds flavor and deeper pink color, but might require a bit more milk to compensate for the extra dry ingredients. Pink pancakes might prove pleasing to even the pickiest of eaters and only take a few extra seconds to make. Prepare your favorite pancake batter recipe whether from scratch or a box mix. Add strawberry Nesquik syrup or powder to achieve the desired shade of pink; adjust the dry or wet ingredients as needed to compensate for the addition. Top off the pancakes with a dollop of whipped cream or non-dairy whipped topping, which can also be tinted with Nesquik. For an extra dose of sweetness, make an easy strawberry syrup or glaze with Nesquik, powdered sugar and a bit of milk. Make the glaze thicker with more powdered sugar and use it as a topping for cinnamon buns straight from the oven. 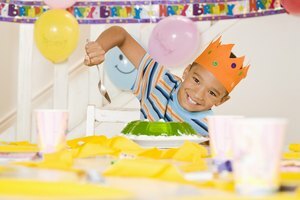 How Long Does it Take to Make JELL-O?